Stantec Architecture, in association with Meiklejohn Architects, was commissioned to design a new building for the UBC distributed medical education program at its Okanagan campus. The building will be a multipurpose facility: it will include spaces for individual and group study, medical research laboratories, tiered lecture theatres seating 286, administration offices, and a medical school. Medical programs at UBCO are provided via a sophisticated telecommunication system with simultaneous broadcast of lectures and demonstrations at four medical schools. Environmentally friendly features of this design include green roofs, water conservation technologies, low-VOC building materials, and energy conserving modes of ventilation and lighting. 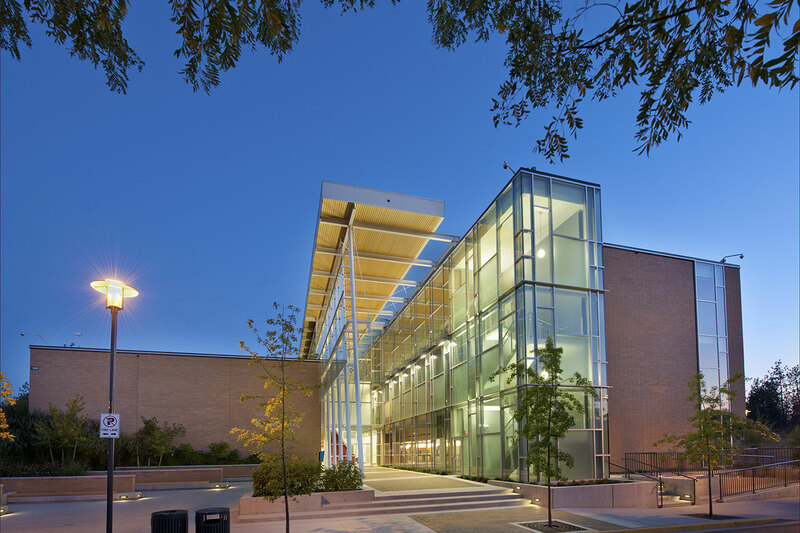 This project has been designed to LEED® Gold standards.